We’re no strangers to innovation here at Jarrods. We believe that all new staircases should be a work of art that creates a real wow factor as soon as visitors walk through the door. We’ve previously written about defying gravity with a cantilevered staircase but unfortunately, not all properties can support such a structure. Fortunately, we’re proud to have found a solution for such scenarios. For those who don’t know, a cantilevered staircase is one that appears to float. Until recently, if you have a timber framed home, a cantilevered staircase was generally considered to be out of the question as it goes against building regulations. 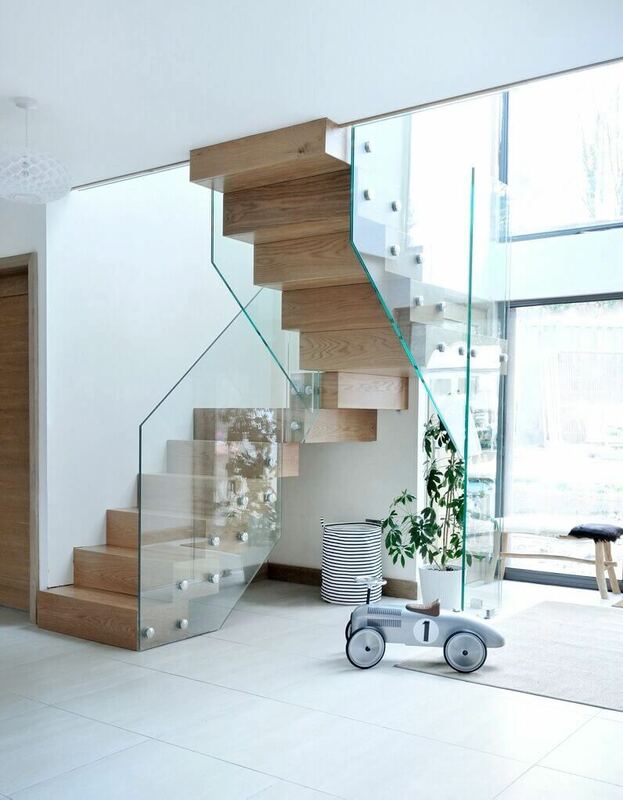 However, with our Kubos range of stairs, you can create a similar effect that’s as safe as it is impressive. 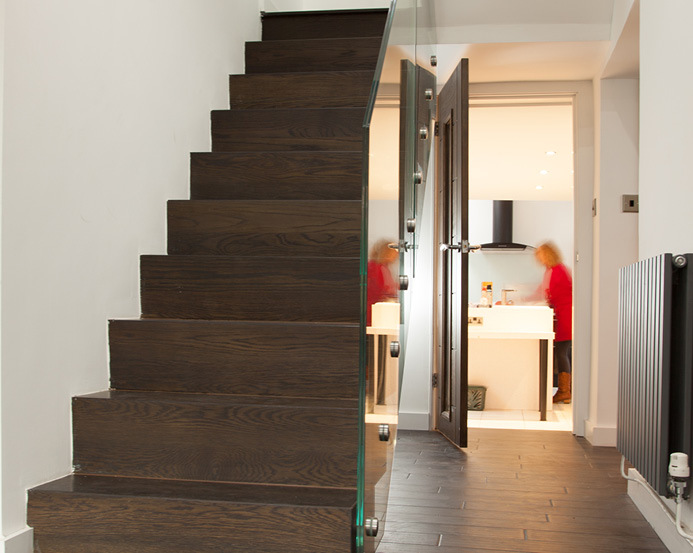 Kubos stairs create the same impactful impression whilst complying with all of the building regulations. With a true cantilevered staircase, the supporting structure is cleverly concealed within each tread and behind the face of the wall. There are no supports between the treads. While the Kubos range has a similar aesthetic and mirrors that openness, the structure works a little differently. Steel plates are bolted to the wall with box treads fixed on top and panels beneath to create the “floating box” effect. We’ve used the Kubos range for a lot of our customers and they tell us that the results are pretty spectacular. You can see some examples on our gallery page. In particular, the Hills, Bakers, Browns and Thomsons projects. You can also read more about their Kubos staircase in the Baker family’s customer story. Plus, as we’re the only UK suppliers of the range, who could be better placed to advise you on how this style will work in your hallway? 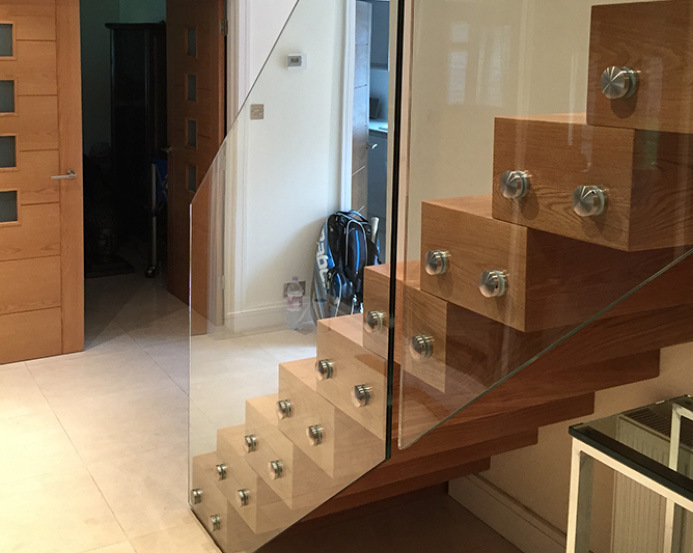 If you’re considering installing a new staircase, get in touch with our team today.